Why are we bringing this up? Because in the business world, those judgments can cost people clients, and work, and we’d like to think our industry leading commercial cleaning and janitorial solutions help business owners and property managers rest easy, knowing they’re putting their best face forward. For instance, we recently had a talk with Gary Tilley. Tilley, a property manager for Carr Development in Austin, Texas, is a Stratus Building Solutions customer and we’ve been doing what we can to help make his work easier (interested in another example? Click here to learn more about how we’ve helped Chris Williams at Southpoint Dodge). Tilley oversees an office building at 5511 Parkcrest Drive as well as the Bee Cave Corner office building (maybe the cutest name for a building that we’ve ever heard, by the way). 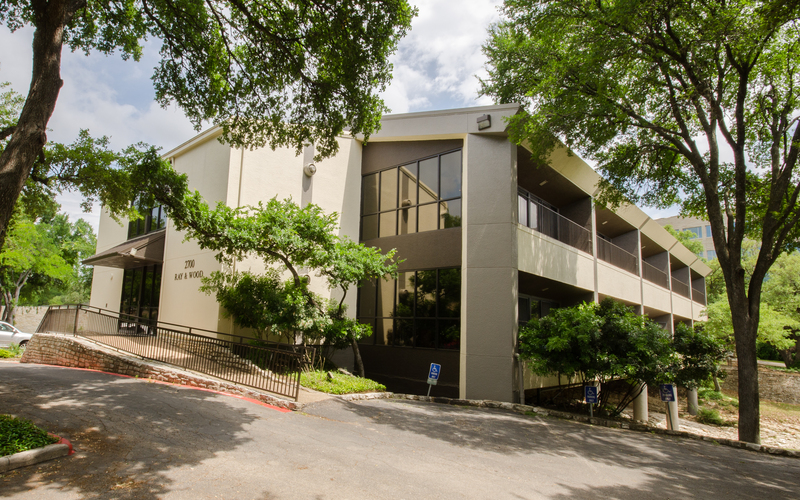 Both buildings are two story office buildings with businesses as tenants, and both are in affluent, scenic areas. So, can you imagine a prospective tenant dropping by to meet with Tilley, to discuss moving a business into an office after seeing a restroom or lobby that seemed kind of grimy and unloved? That tenant might still sign up. Tilley’s a pretty charming guy, after all. But if you’re thinking of moving an entire office into a building, and you’ve just seen an underwhelming lobby, it’s kind of like a mustard stain on a shirt during a job interview – it’s a pretty big distraction. That’s why we have comprehensive cleaning methods (that are eco-friendly, using Green Seal Certified cleaning chemicals, by the way) and we overlook nothing when it comes to cleaning. Some people are micro-managers, and that’s often not a good thing in the business world. But micro-cleaning, and focusing on the smallest details, that’s very good in the cleaning world. For instance, we think a lot about germs and make it a priority to stamp on bacteria, viruses and harsh chemicals that could endanger employee and customer health. We caught up recently with Tilley to talk about his experiences with Stratus Building Solutions, and how our business figures into his work. Thankfully, he had a lot of nice things to say. “Stratus consistently does a good job,” said Tilley, who joined Carr Development in April of 2017. Stratus Building Solutions was cleaning the two properties he now manages, and he figured since nothing was broken, why unfix it? He adds that he works with Stratus franchise owner Marcy Pesqueda, and that she has been terrific, and that the cleaning is always top-rate. And if something ever does fall short? “Every now and then, if something is wrong, she addresses it promptly and in a timely manner. She is definitely part of the solution,” Tilley says. We love hearing that, of course, and while we brought up the idea of business owners being reluctant to move into an office building that doesn’t have high cleaning standards, Tilley mentioned how important a clean building is to keep tenants. After all, he points out, the businesses in the buildings that Tilley manages have clients, customers and employees, too; all of whom naturally appreciate a clean office building. Nobody wants to work in a dump, or for that matter, somewhere that feels mediocre. To do your best work, it helps when things look and feel their best. And hearing that makes us, at Stratus Building Solutions, feel valued. Especially when we asked if he would recommend us to other businesses. As we said, people often judge you when you’re messy, but people also judge you by the company you keep. That’s why we’re proud to work with Gary Tilley. If you’d like to learn more about what we do for office buildings, give us a call at 888-981-1555 or check out https://www.stratusbuildingsolutions.com/offices-and-buildings.